Neo-evolutionary anthropology developed in the mid-Twentieth Century as a response to the need to develop theories that better explained cultural differences, similarities and the processes of culture change than the British Structural-Functionalists or the American Historical Particularists. The need was especially felt in archeology for an empirical method that could be used to categorize types of societies from material evidence. This new theoretical perspective incorporated evolutionary theory with Marxism, Structural-Functionalism of British anthropology, the American Historical Particularists and other perspectives. Neo-evolutionists Julian Steward, Leslie White influenced their successors at Columbia University Elman Service, Morton Fried, Marvin Harris and Sidney Mintz . The following essay will compare and contrast the explanations for social evolution of Steward and White and that of their successors Service and Fried. So, four Neo-Evolutionists walk into a bar…. 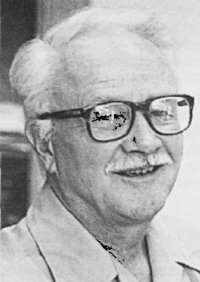 Julian Steward, an archeologist of Native American hunter-gatherer cultures, established a taxonomy for categorizing cultures based on the material evidence of their “social, political, and religious patterns” that were “empirically determined” by their “cultural core” (Steward 1972:37). A society’s “cultural core” according to Steward was composed of a “constellation of features which are most closely related to subsistence activities and economic arrangements”–or in other words the natural and social environment (Steward 1972:37). Steward called his study of the process of culture change “cultural ecology.” Cultural ecology is a term he coined to explain culture as an adaptation of a society to their environment (p.5). Like the evolutionists that preceded him, Steward believed that “significant cross-cultural regularities exist” among societies. However, unlike them Steward did not believe that these regularities are universal or progressive, from simple to complex, for all societies (p.5). Steward claims that since the activities that produced cultural patterns and society were historically situated and multiple, his evolutionary schematic of social evolution that explained cultural differences and simularities would be called “multilineal” evolution (18). 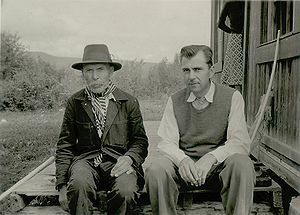 He contrasted his multilineal perspective of social evolution with the “unilineal” theories of Childe and White, both of whom believed in a sort of cultural evolutionary determinism that failed to explain the development of the cultural variations and the “particular features of individual cultures” (18). Steward says that since “all men eat,” subsistence is a universal that can be categorized and studied empirically and objectively. Since all men eat, their cultures are always changing and adaptive to the environment. He agrees that personality is shaped by culture but disputes the Boasian perspective as too “short-range” and overly particularistic and historically contextual. 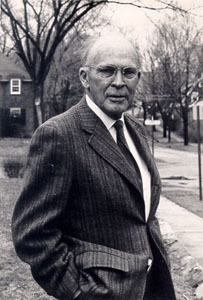 Leslie White, author of The Evolution of Culture: The Development of Civilization to the Fall of Rome (1959), approached the problem of identifying levels of progressive cultural evolution using his pre-anthropological background in science and physics. He subscribed to the 19th Century evolutionary theories of Lewis Henry Morgan and Edward B. Tylor and preferred to be called an “Evolutionist”. His model of social evolution is a progressive one that is based on levels of technological innovation rather than environmental adaptation. White claims that industrialized cultures and complex societies are more advanced because they have the capacity to harness more energy–”thermodynamics” than non-industrialized and simple societies (White 1959: 33). White even gives a hard science credibility to his theory by developing a mathematical formula for “culture process” that is now known as “White’s Law”: E x T > P, where E=energy, T=technology and P=product (White 1959:37). However, White over-reaches when he claims that “theology,” wasn’t possible until after the “Agricultural Revolution” (White 1959:354). We now know that isn’t true now from a variety of sources such as the recent discovery of society of foragers who built a massive stone temple complex about 11,600 years ago–pre-agriculture in Göbekli Tepe, Turkey: White made the un-scientific and ethnocentric assumption that the systems of knowledge and beliefs of pre-agricultural societies were “likewise simple and undeveloped” (White 1959:38). We also know now that the Childe’s “Agricultural Revolution” that White mentions many times and seems to take as truth really wasn’t a “revolution” at all (White 1959:279). It was a gradual process of plant domestication in both the Old World and New, sometimes lasting for thousands of years, of foraging vs. farming cost-benefit calculi by various groups. It was a slow and uneven progression from semi-sedentary “foragers” to evolve to semi-sedentary “collectors” and then to sedentary “cultivators” once it took less energy to produce surplus food from farming than by other means. A climate or environmental change would retard the progression force sedentary cultivators to migrate and survive by foraging (Flannery 1986a:13). Service said the societies used an over-arching ideology to maintain social control and that the “earliest governments worked to protect, not another class or stratum of the society, but itself. It legitimized itself in its role of maintaining the whole society” (Service 1975:8). Service believed that government itself was a social adaptation that maintains a society with as a sort of Rousseau-like “social contract” of a shared ideology that maintains the hierarchy through reinforcement”, “leadership” and “mediation” (Service 1975:12-14). Service believed that civilizations that fell were adaptive failures to a changing environment. They suffered from a “kind of failure of bureaucratic governance” by not being able to save its society from “external and internal threats to its integrity” (Service 1975:311). Service predicts that China’s modern civilization, newly industrializing in 1975 when the book was published, may one day supercede the United States due to the American dependence of fossil fuels. He notes prophetically: “This inverse relationship between adaptation and potentiality is probably ‘true’, and such an eventuality as the ‘fall’, the bypassing the United States by some other region, is probable–other factors being constant [his italics]” (Service 1975:323). Service explains social stratification due to relationships with differing access to resources and claims tha “differential power exists actually or potentially in all human groups” . Service believes that the centralized power of a civilization has built in efficiencies and so is able to better govern warfare and the establishment of alliances thereby maintaining peace more effectively than governance by moral code and custom is far more stable and effective than governance by physical force. The Evolution of Political Society by Morton H. Fried, a student of Steward’s as well, is anothe foundational book of the Neo-evolutionism. The book, like the other neo-evolutionary works from the mid-Twentieth century, is dated in its language and socio-political context. 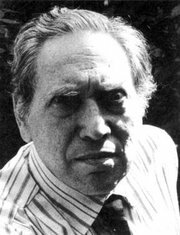 However, Fried’s theories of how societies evolve over time, from small ones to big ones, and the “initiating conditions” that make each societal type possible (such as population increase, subsistence intensification, and so on) are just as relevant today as when the book was published way back in 1967 (Fried 1967:196). Fried is careful to define his terms when describing the different factors of social evolution. For example, “’Authority’ is refers to the ability to channel the behavior of others in the absence of the threat or use of sanctions and “Power” is the ability to channel the behavior of others by threat or sanctions” (Fried 1967:13). Another useful term re-defined by Fried that made understanding why some political systems are successful and some are not is “legitimacy” (Fried 1967:22). Fried uses Weber’s categorization of two types of legitimacy based on how each is guaranteed: “internal legitimacy” is guaranteed via beliefs and values, and “external legitimacy” is guaranteed via social sanctions or force if customs or laws are broken (Fried 1967:22). In the last chapter, Fried reminds us again that force alone cannot ensure compliance: “sovereignty is tied to legitimacy and that in turn requires more than naked power. No state known has ever been devoid of an ideology that consecrated its power and sanctioned it use” (Fried 1967:238). Fried’s taxonomy of progressively more evolved societal types includes features necessary for each level of society in his schema (egalitarian societies, rank societies, stratified societies, states) to evolve and to exist. Fried explains that the difficulties of governing colonized societies, which he calls “secondary states,” exist because they lack the features, or in Fried’s words the “basic institutions of state-ship,” necessary for a functioning state (Fried 1967:241). Flannery, K. V. 1986 The Research Problem. In Guilá Naquitz: Archaic Foraging and Early Agriculture in Oaxaca, Mexico, edited by K. V. Flannery, pp. 3-18. San Diego, CA: Academic Press. Fried, Morton H. 1967 The Evolution of Political Society: An Essay in Political Economy, New York: Random House, Inc.
Gordan, Robert, et al Editors 2011 Fifty Key Anthropologists, New York: Routledge Group, Inc.
Mann, Charles C. 2011 “The Birth of Religion,” National Geographic Magazine, Electronic document, http://ngm.nationalgeographic.com/2011/06/gobekli-tepe/mann-text accessed September 20, 2011. Service, Elman R. 1975 Origins of the State and Civilization. New York, NY: W.W. Norton & Company, Inc. Steward, Julian H. 1972 Theory of Culture Change: The Methodology of Multilineal Evolution, University of Illinois Press. White, Leslie A. 1959 The Evolution of Culture: The Development of Civilization to the Fall of Rome, New York: McGraw-Hill Book Company, Inc. This entry was posted in Archaeology, Cultural Anthropology, Materialism, Neo-Evolutionism, Social Complexity, Social Structure by arkirwin. Bookmark the permalink.